Indie beer! If I wore a monocle, it would be shattering right now! The Indie Beer designation (and social media hashtag) arose during a November 17 podcast on ThreeBZine.com, a blog devoted to local beer, music and food. During a discussion about Ballast Point’s billion-dollar sale to Constellation Brands, podcasters Cody Thompson, Dustin Lothspeich and Tom Pritchard decried the efforts of “Big Beer” to enter the craft beer marketplace, including other recent purchases of longstanding craft brands Lagunitas, Elysian and Golden Road. 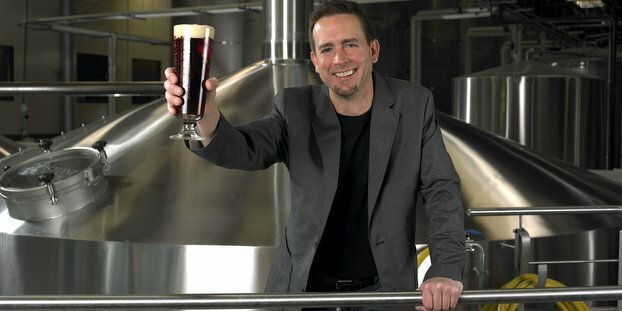 “Is craft beer even a thing any more, or is it just marketing?” asked Pritchard. “It’s been appropriated by corporations.” Taking a cue from the concept of Indie Rock in the music industry, the trio settled on Indie Beer as a way to distinguish small, privately owned businesses. Well, there you have it. The people have spoken. Indie Beer Business, here we come! Craft brewers are starting to call themselves indie brewers because macro brewers are abusing the word craft.